Nine-year-old Louis Drax is a problem child: bright, precocious, deceitful, and dangerously, disturbingly, accident prone. When he falls off a cliff into a ravine, the accident seems almost predestined. Louis miraculously survives - but the family has been shattered. Louis' father has vanished, his mother is paralysed by shock, and Louis lies in a deep coma from which he may never emerge. In a clinic in Provence, Dr Pascal Dannachet tries to coax Louis back to consciousness. But the boy defies medical logic, startling Dannachet out of his safe preconceptions, and drawing him inexorably into the dark heart of Louis' buried world. Only Louis holds the key to the mystery surrounding his fall - and he can't communicate. Or can he? 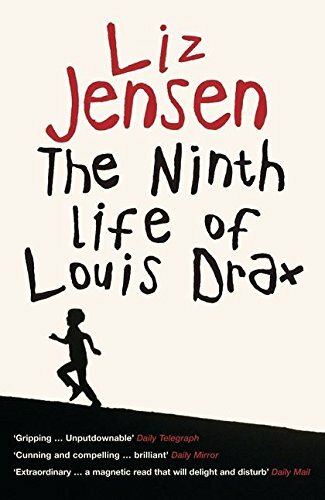 Welcome to The Ninth Life of Louis Drax bookring! We currently have 15 members. I have sent the bookring to nyassa on Wed 30th March and hope it reaches you all safely :-) Happy Bookring Reading! Any problems, please PM me. Please remember to journal the book BOTH when you have received it (so we all know where it is) and once you have read it (so we all know what you thought of it. I am really looking forward to hearing your feedback, thanks for participating. It has arrived safely today, thank you Caro1, along with its own bookmark and sheet of points for discussion. What a good idea! I'll set about reading it as soon as I can so I may even be able to get it on its way before we leave for France. Well this is going to be added to my list of best reads of 2005. I was not at all sure what to expect but before long I was finding it hard to put down. The only slight flaw as far as I was concerned was the relationship between the boy's mother and the doctor. It's another book I would never have read if it hadn't been for BookCrossing. Thank you Caro1 for introducing me to it! It will be on its way to UrbanSpaceman on Monday. This was waiting for me when I got back from a few days away. I'll get on it asap. This was an excellent read. Although I worked out the basic plot fairly early on in the novel, the book has enough depth and the story enough content that this didn't stop me from enjoying it. I liked the style in which Jensen wrote it - it's sparseness matched the geography, both the physical and the psychological. I'd be curious to know why Jensen chose to set it in France rather than the UK, but for me this also enhanced the story again by making the territory just a tad more alien. Thanks to Caroline for putting this out on the ring. I've PMed Tanis and will post it on as soon as I hear back. On its way to Tanis. This arrived safe and sound in the post last weekend, but due to my house move I'm afraid I haven't had time to journal it til now. I'm going to start reading it tomorrow so it should be on it's way again soon. Really looking forward to this one after hearing about it on Page Turners. I think this is going to be a strong contender for my top ten reads of the year. I read The Curious Incident of the Dog in the Nighttime recently and this reminded me of it in some ways. I thought the characters were well written and not overstyled so that enough was left to the imagination. Louis was a great character and I'm still tickled by Fat Perez and his ability to delude himself with his hindsight insight. I'm going to pass this to CaffCaff at the London meet on Monday. Received today - looks great and I'm looking forward to reading it. Thanks all. I enjoyed this book too. I found the way Jensen portrays Louis very effective –I found myself reading through the Dr’s bits wanting to get back to Louis telling his story. I liked the way he rehashed his mother’s words so you could see that he had been heavily influenced by her, almost as if she was speaking through him. The downfall for me was Dr Dannachet. I just didn’t believe in him. I didn’t believe in his love for Natalie – it was all too soon and out of nowhere. I think Jensen could have made more of Natalie’s manipulation and need for sympathy upfront, to make Dannachet’s behaviour a bit more believable. I loved the use of Gustave and the link between the coma and reality. The supernatural means of revealing the truth worked for me because it fit within the boundaries of the story – it’s believable even though not necessarily realistic. Anyway, I loved this book. The style is really unusual - lack of quotation marks, the two narrators, the very literal style in which Louis speaks - but it's incredibly easy to read, whilst being very deep. Like others I found the relationship between Natalie and the doctor slightly unreal, but then Natalie does seem to have some mystical effect on men so maybe it's not that unbelievable after all. I love the way that Louis spoke, using a combination of childish metaphors heavily overladen with his mother's influence, and although I had guessed who Gustave was and how the book was going to pan out halfway through, I was still enthralled by the development of the characters, especially Pierre's mother, who was drawn very sympathetically, and there was one twist that I hadn't seen coming at all. I'll PM akg and see if she still wants to read this, if not I'll contact nice-cup-of-tea and post this off to Zurich asap. I found this book alternately sad, disturbing, thought provoking and engrossing. The character of Louis, with his view of the world, and his 'rules' reminded me of Frank in the Wasp Factory (Iain Banks). Both children are disturbed, and they create their own world as way of imposing some 'order' in the real world. I think I was a bit slow on the uptake, but it took me ages to work out who Gustave was, I liked his way of calling Louis "Young Sir." What I found interesting was the way in which my view of the coma and Gustave changed. Initially I feared the Gustave character, believing him to be harming/holding Louis back. And then gradually I came to view the coma as a sort of 'staging post', a temporary cessation of the pain that Louis encounters from his world. 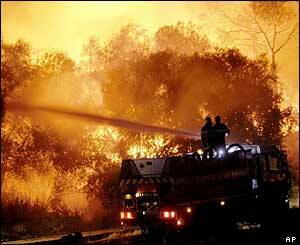 I particularly like the metaphor of the forest fire, always threatening the centre from afar. That threat is always there.... and then the threat happens at the climax of the book. This story will stay with me for a long time I think. Thanks for sharing it, Caro1! Have pm-ed Mastuela for her address, so will send this on asap. Took this with me while away over Christmas and it ended up being read by me and other half as well. We both thoroughly enjoyed it. I found it a real pageturner. The only thing that didn't work for me was something I can't mention here without ruining it for other readers - I think how the letters were written would be safe to say! Sorry I've kept this for so long - will send on to Glasgowgirl asap. PS Warning on the sheet of questions enclosed - they contain some spoilers! Glasgowgirl has now got her own copy, so sent on to Angellica today. Sorry for taking so long to send on. I finished this a couple of days ago and it's one of those books that makes me wish I was more of a reviewer. I thoroughly enjoyed reading this and I found that once I'd started to read it, I couldn't put it down. I posted it to daemonwolf on friday 18/8. Read and reviewed on my book journal. Ouch. I'm more swamped than I have ever been and have less reading time than I have ever had, but I am desperate to read this. I can't see a reading deadline, but I hope to get to this just after the half term, so just over a month. I hope that's okay. Thanks to Caro and daemonwolf. I really struggled to get into this, mainly because I was reading it a few pages at a time. However, once I did, I was hooked. A very interesting tale. Sending on to flajol this week. Sorry I'm late journalling this - I think it arrived early last week. I have a couple of other rays to read before this, but have loads of free time over the next two weeks so it shouldn't be here for too long. Wow! It took me ages to get going on this one. I think it took me over a month to read the first ten pages, then last night I finished the rest in one sitting. I'm not usually into suspense novels, but I really enjoyed this one. It kept me guessing right up until the end. I won't give anything away here, for fear of spoiling it for future readers, but - read this book! Thank you for sharing, Caro1, and sorry for holding this ray up. I was planning to post this on from NZ, but I see the next reader is in my home town so will pass it on when I get home. After several failed attempts to track down Iagegu, and with Caro1's permission to release this, I'm passing this book to Bookfrogster who's visiting for the weekend. Caught this while visiting flajol who can always be relied upon to supply a book, so I never need to bring oe of my own. I really enjoyed it, especially Louis' conversations with Fat Perez, and his slightly distorted understanding of the world based on what he'd overheard from adults talking. Will take back up to Edinburgh to offer at our next meet up. I picked this up at the monthly edinburgh meetup. Looking forward to reading it, but will have to wait a bit as I have a couple of books to read before this one. On my pile! One of the best books I've read this year. Though I found the voice of Louis kind of annoying, especially as he kept saying 'and blah blah blah'. I also thought the scene where the doctor follows Natalie into the forest was a bit too much, I would have preferred some kind of direct consequence to Natalie's actions. I don't want to spoil it anymore than I already have so I'm not going to say anything else! It's going to Hinckley in a bookswap. Safely received today. Thanks a lot. Very engrossing read and I was so sure it was going to be about Munchaussen syndrome. In common with many of the previous readers I found Dr. Dannachet's character didn't really ring true. Would someone in his position be so pathetic? Taking to today's meet at Daventry. Now available on the shelf at Sadlers Fine Foods, 2-6 High Street, Daventry. The shelf is positioned prominently near to the counter, and very well stocked! As Sadlers Fine Foods has gone into administration I'm marking this book as travelling pending a journal entry. Hopefully we'll hear from the books that were on the Sadlers bookshelf again in the future! "A house is no home unless it contains food and fire for the mind as well as the body."